Will you help us spread the word about #IndieAuthorFringe? You can help us spread the word about our Indie Author Fringe events, by sharing updates on your social media channels and information about our event on your blog. 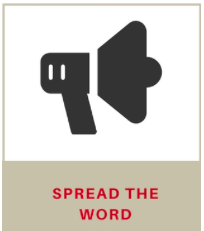 We’ve included key information and some sample content on our SPREAD THE WORD page to make it easy for you to let your friends and networks know about our event. Our Indie Author Fringe events are free to attend, so no matter whether you’re a new, part-time, or full-time author your goal is to sell more books and reach more readers, and our Online Conference provides you with 24-hours of author sessions to help you achieve your self-publishing goals. So many events these days are cost-prohibitive to attend, or only open to traditionally published authors. But we’re bucking the trend. We’re always finding new ways to Open up to Indie Authors, and our author conferences are free to attend to make them available and accessible to a wider audience. We want to make sure that indie’s all over the world know about our event. Please help us out by spreading the word to other writers and authors you know, and let the writing groups and communities you’re part of know about the event too. Your action could help another indie author fulfill their dream of selling their first/hundredth/thousandth….. book. Share the knowledge – nourish a dream! When you tweet about the event please make sure to include our event hashtag #IndieAuthorFringe. On Fringe day, we’ll be using this hashtag to host Twitter chats, so that you can join in the conversation at anytime to let us know your questions and feedback about the sessions we’re hosting. 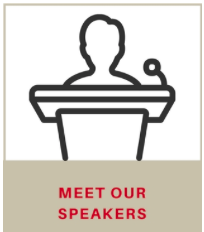 We’ve added more speakers to the Indie Author Fringe Line up, so head on over to our Speaker Bio page to see who we have on the agenda and what book marketing and promotion topics they’re covering for us. Each speaker donates their time and expertise for free, and many of them are also offering giveaways as part of their session. You can enter as many giveaways as you want on the day of the event – June 3rd. Our 24 hour agenda kicks off at 10am EST (New York time), and all sessions will be broadcast on our blog. So from the comfort of your own home, you will be able to attend all the sessions for free. As part of our BookExpo Indie Author Fringe event we’re releasing an updated version of our “Opening Up To Indie Authors” guidebook. 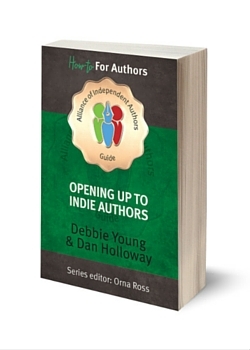 It’s full of new material and has been completely revamped by our ALLi authors Debbie Young and Dan Holloway. Entries for our #IndieAuthorFringe Book Cover competition are still rolling in. 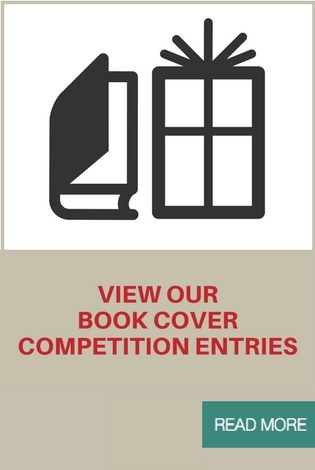 We’re awarding prizes for best Fiction cover and best Non-Fiction cover and there are some eye-catching entries already, but there’s still time for you to enter your book cover into our free competition. Thanks for helping us spread the word, and look forward to welcoming you to our free online indie author conference on June 3rd. If you have any questions or confusion about the event and how the day unfolds, please just leave us a comment below. 4 Responses to Will you help us spread the word about #IndieAuthorFringe? Amazon – Authentic or Scammer? Amazon’s StorytellerUK2017 contest deadline is May 19, 2017. Attached is a copy of the rules and information I received on the Amazon’s Storytelleruk2017 contest. . I cannot determine if this is a legitimate contest or a scam. I have access to Internet Explorer, FireFox, Google Chrome, and AOL. I also have wifi. Both my husband (a software engineer) I and have repeatedly tried to submit to the contest but have not been able to access whatever link on the Amazon UK’s Storyteller site is necessary to submit my book. In addition to this, I have sent Amazon numerous requests via email for information; every request for information has gone unanswered. But Amazon has sent me a form asking me to tell them what a great job they are doing. Yesterday, after having been disconnected several times and hung up on several times before I could ask any questions, I finally reached Christine at 1-888-280-4331. By her voice, I suspect that she was answering the phone from Amazon’s India call center. Not only did I have problems understanding her, but she repeatedly said had never heard of the Storyteller competition. Finally, she turned the phone over to Katy. I described in great detail the Storyteller contest, read her all the links posted, and asked for information on how to enter the contest. She too admitted that she had never heard of the Amazon Storyteller competition. She also admitted that there was something wrong when my husband, a software engineer (he has worked for over 50 years for defense contractors) could not access a link on Amazon’s site or figure out how to submit my book. She took my email address and my phone number and promised to get the answer for me. I never heard from her. I would greatly appreciate it if you would check with your sources or anyone else you think is appropriate and tell me if this is a legitimate contest or a scam. If it is legitimate, is there any way to find out how to submit my book? Considering what has occurred, I would probably need detailed directions. Since the last date for submission is May 19, 2017, I would need all information as soon as possible.